May 30th in Wordpress Plugins by Wordpress Jedi . Every business and nonprofit organization needs to have an online presence these days. That applies to churches, mosques, and other houses of worship. We have already covered plenty of church themes for WordPress. WPChurch is another script that could prove useful for church sites. It lets you create members, manage ministry listings, sort and search services, and add content to your website. WPChurch comes with various useful modules to let you manage your church more conveniently. For starters, it lets you add sermons with images, audio, video, and PDF content to your site. You also get a donation module to accept money via PayPal. 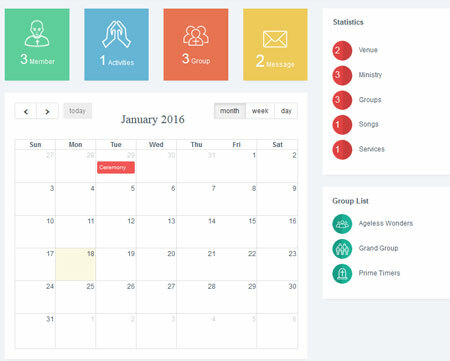 The script makes managing venue, rooms, services, and activities easier as well. WPChurch provides you with attendance, income, and activity reports to help you figure out how well your church is doing. It also lets you manage invoices in the system. This is a commercial plugin by an Elite Author.